The Isvarapratyabhijnakarika IPK of Utpaladeva is the foundation stone of the Pratyabhijna school and constitutes the main theoretical framework of the Trika. It is the most important philosophical work of non-dual tantric Shaivism as a whole. Utpaladeva devoted two commentaries to his IPK a vrtti and a tika . According to Abhinavagupta the IPK and the vrtti thereon were composed by Utpaladeva at the same time. This makes the vrtti and indispenable tool to grasp the original meaning of the difficult karikas of the Isvarapratyabhijna. UNfortunately all vrtti manuscripts from Kashmir broke at the same point and consequently so did the edition published in the Kashmir Series of Texts and Studies in 1918. 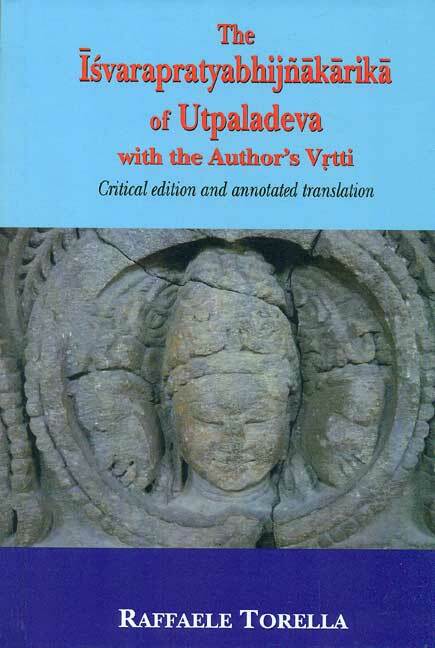 Utpaladeva devoted two commentaries to his IPK, a vrtti and a tika or vivtti (now almost totally lost). According to Abhinavagupta, the IPK and the vrtti thereon were composed by Utpaladeva at the same time. This makes the vrtti an indispensable tool to grasp the original meaning of the difficult karikas of the Isvarapratyabhijna. The present book, originally published in the Serie Orientale Roma (IsMEO), contains the first critical edition of the IPK and, for the first time, the complete text of the vrtti on the basis of a unique Malayalam manuscript discovered in Trivandrum Library by R. Torella, who has also made use of the other incomplete manuscripts from Kashmir. The edition is accompanied by an English translation with copious exegetical notes, which highlight the connections of Utpaladeva?s thought with the coeval schools of Indian philosophy and, first of all, with the Buddhist pramana tradition.